EXECUTIVE SUITE Introducing a new offering at Studios Inn: The Executive Suite This newly designed space is the ideal setting for the business traveler who desires the comforts of home. It's easy to unwind in this modern yet comfortable space. 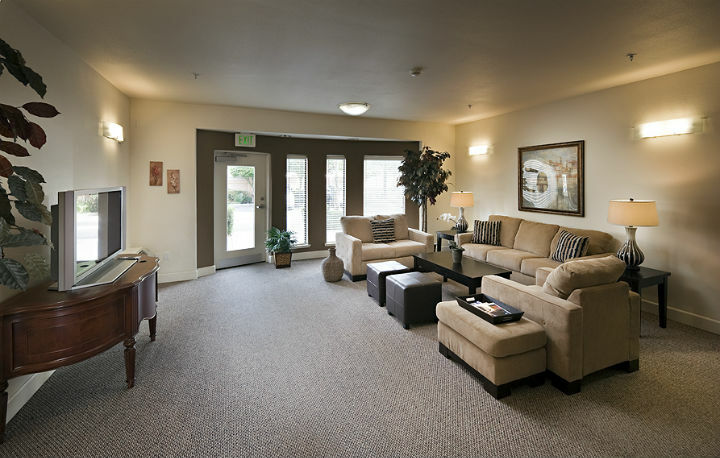 CONVENIENTLY LOCATED We are located in the heart of Silicon Valley steps from Santana Row and Westfield Valley Fair Mall, in a quiet residential neighborhood. Shopping, restaurants, supermarkets, nightlife are all nearby, as well as just about any other service or store. For your convenience, you may now download the rental application. Select and download form from the links below. You may complete the form on your computer after downloading. Please print, sign and fax the completed form to 408 850-7878. Resident shall not permit any pet or animal, even temporarily, anywhere in the complex. If a pet or animal is seen or evidence of the pet or animal is found, Resident will be in breach of their lease and be charged a penalty fee and or evicted. In lieu of a security deposit a valid credit card will be kept on file as a recourse for any damages or any unpaid rents. Studios Inn is a smoke free building. Smoking is strictly prohibited except in designated outdoor areas. Resident will pay a penalty fee and be in breach of their lease if any evidence of smoking occurs. The minimum stay required is 7 days. Check-in at the Front Desk after 3pm. Maximum occupancy of Studios is 2 adults. Maximum occupancy of Suites is 2 adults and 2 children under the age of 10 or 3 adults. Saturday from 10 a.m. to 4 p.m.
Sunday Closed – by appointmentAfter-hours check-ins by appointment only. Check-in time is after 3 p.m.If you need to make arrangements for after hours check-in, please contact the Front Desk at least 48 hours prior to your arrival. Room keys and gate openers may be picked up at the Front Desk upon check-in.Registration and payment are required before keys are given out. In case of a lock-out, please come to the Front Desk to get new keys or after-hours contact the Resident Manager emergency number (408) 807-4069. Upon checking-in at the Front Desk, you will be given directions to your Unit and an initial walk-thru will be completed.Elevator and stair access available. Please refer to the Welcome Letter for additional information on phone use, trash and recycling locations, laundry facilities & fitness center hours. Please call the Front Desk at (408) 290-8290 for additional questions. Parking gate openers will be given out at check-in; must be returned upon check-out.Parking is gated with open access and unassigned. Check-out time is 12:00 p.m.Check-out will be processed at the Front Desk and a final walk-thru will be completed with or without the tenant present. Express check-out available (drop box located at the Front Desk). Please return your key(s) and gate opener(s) to the Front Desk after the check-out procedure. All residents must supply Studios Inn with a 7-day Notice to vacate prior to their departure or lease expiration date. You are responsible for the return of all keys and gate openers; lost items do incur charges. Maid service is available upon request for a fee. Please contact the Front Desk for scheduling. 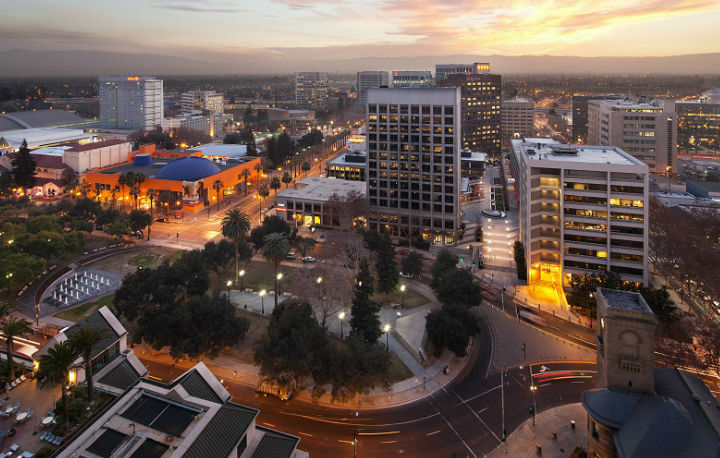 We are conveniently located in the heart of Silicon Valley steps from Santana Row and Westfield Valley Fair Mall, in a quiet residential neighborhood. Shopping, restaurants, supermarkets, nightlife are all nearby, as well as just about any other service or store. Our helpful desk staff can help you find what you are looking for in the area.